Sleek and sophisticated, our Edson stool makes a real statement in the garden or can bring an urban feel to any room in the house. Its industrial concrete finish means it brings a directional edge to your space. Did we mention it doubles up as a side table? It’s perfect for making the most of the good weather and extending your hosting space outdoors. Plus you get to show off your beautiful garden in the process. Garden furniture doesn't have to be drab. 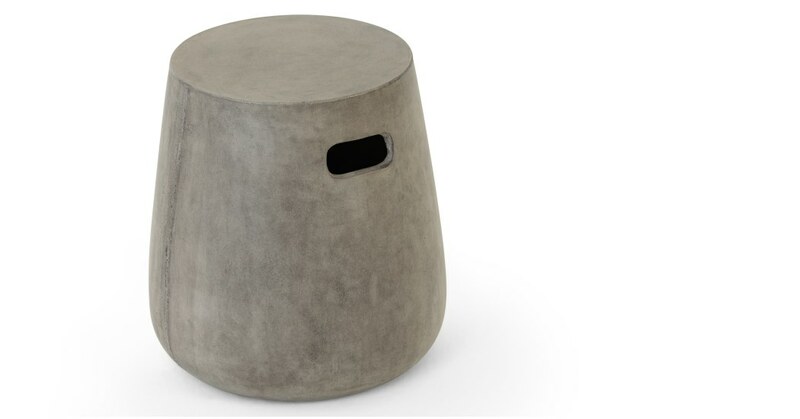 This stool's industrial design – and daring mix of concrete and metal – proves your outside space can have just as much style as your indoor space.